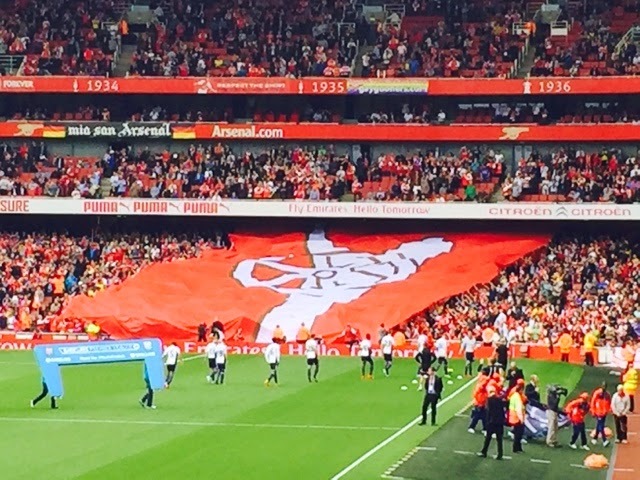 Paul and I went to the Emirates Stadium on Sunday to watch the last Premiership game of the season. And it was a great win for the mighty Arsenal FC against West Bromwich Albion FC. So that placed us 3rd in the table this year - better than last year but let's face it a long way off 1st. Can we do it next year? I hope so but I doubt it. Chelsea just look too strong. We'll be cheering them all the way though. Labels: Arsenal F.C., Emirates Stadium, Premier League, West Bromwich Albion F.C.